14 Nov 2018 --- Trends toward high-protein, low carb foods are driving innovation at Essentia Protein Solutions which is tapping into the growing popularity of bone broth as part of its showcase during the forthcoming Food Matters Live, in London next week (20-22 November 2018). The company will be presenting a range of nutrient-rich applications including a new organic beef bone broth, a collagen peptide-based cordial drink and a high protein pork crunch snack. “Protein enrichment of everyday food” is the theme for Essentia during this year’s Food Matters Live, which targets manufacturers looking to leverage their brands to healthier alternatives. According to the company, consumers are looking for good quality, clean label protein, that is easy to consume and contains essential amino acids. Speaking to NutritionInsight, a spokesperson for Essentia explains how bone broth is gaining traction and how its renaissance continues to grow. “The restorative qualities of bone broths have been known for hundreds of years. The British have been consuming beef tea since Victorian times and in Asia, bone broth is and has always been a common sight in restaurants and markets,” says the spokesperson. 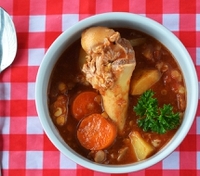 Bone broth is among the most trending areas in US functional foods. Innova Market Insights tracked over six times as many products marketed as “bone broth” in 2017 as in 2015, with CAGR of +147 percent. Essentia’s new OmniBroth BBB Organic and Omnicol ranges are designed to tap into the megatrends in the food industry for high protein products. 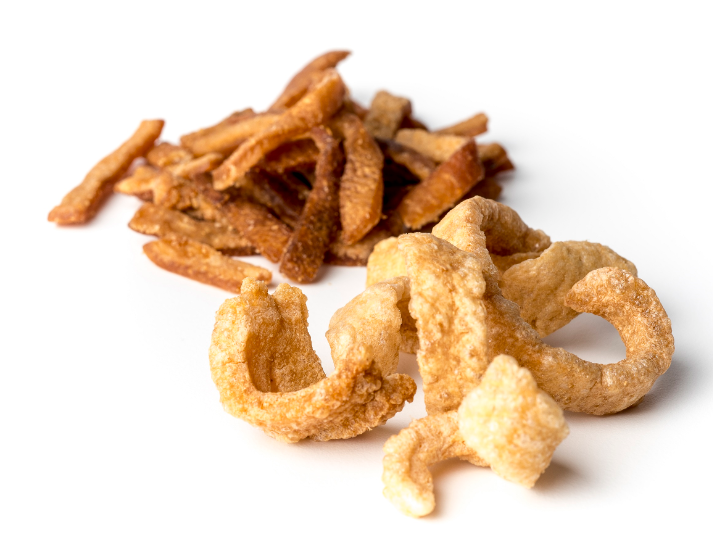 High protein pork crunch snack from Essentia. Bone broths are recognized widely for their range of health-boosting properties. OmniBroth BBB Organic is traditionally made by cooking 100 percent organic beef bones from grass-fed cattle, then dehydrating the bone broth into a concentrated, ultra-nutritious fine powder, making it highly versatile and convenient for a multitude of recipes. Omnicol is rich in collagen peptides which support health benefits such as joint flexibility and muscular maintenance in final products. Tom Cooke, Essentia’s Sales Director UK & Ireland, also says that by adding the natural meat protein nutrition range, the protein content of food products can be boosted without any change to integrity. “We want to inspire manufacturers with our taste test experience and discover the many uses of our meat-based proteins, which are perfectly suited to the huge trend in healthy meat snacks,” he says. The growth in bone broth was demonstrated earlier this year when Ancient Nutrition, a bone broth protein and collagen supplement maker, secured US$103 million in funding through strategic minority investment led by VMG Partners. The company, which is one of the breakthrough pioneers in Bone Broth Protein supplementation that delivers the benefits of “homemade bone broth in a convenient, easy-to-mix form,” revealed in March a minority investment from VMG Partners, Hillhouse Capital, ICONIQ Capital, and over 100 members of a co-investor network. In terms of NPD, another example came from Michigan-based Advanced Protein Technology which launched a new line of collagen-based products, Nutra Collagen, in September. The new line includes a variety of collagen and bone broth based products which contain no preservatives, and the collagen peptides used in each product are non-GMO, all natural and hormone free. Made from 100 percent natural meat-based raw materials, the company offers clean label solutions for a wide range of applications, from soups, sauces, meat snacks, and ready meals, to protein bars, drinks, and healthcare products. For food manufacturers looking to enrich protein levels in everyday products, or to meet nutritionally balanced requirements, Essentia says it offers low fat, low carb powders that contain from 90 to 98 percent of protein. The products are non-functional, which means their addition does not affect the finished product’s eating characteristics or the taste. Health & Wellness Essentia Protein Solutions Meat Bone Broth Animal-Based Protein Protein Bars Drinks Ready Meals Amino Acids Food Matters Live Nutrients.